I've got some issues while aborting subprocesses in jBPM (bpm suite 6.4). 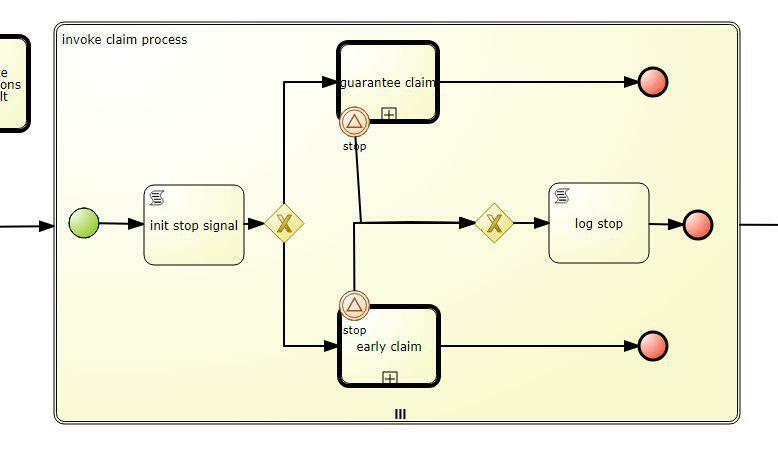 To cut a long story short I have my main process which can instantiate numerous subprocesses "guarantee claim" and "early claim" (see the pic.) Each of these subprocesses contains a kcontext variable called "IN_claim". So, my goal is to abort all the subprocesses containing IN_claim with a certain id. Firstly i retrieve all the variable instance logs containing IN_claim. Then I iterate through the result set and get processInstanceId with the needed IN_claim id. 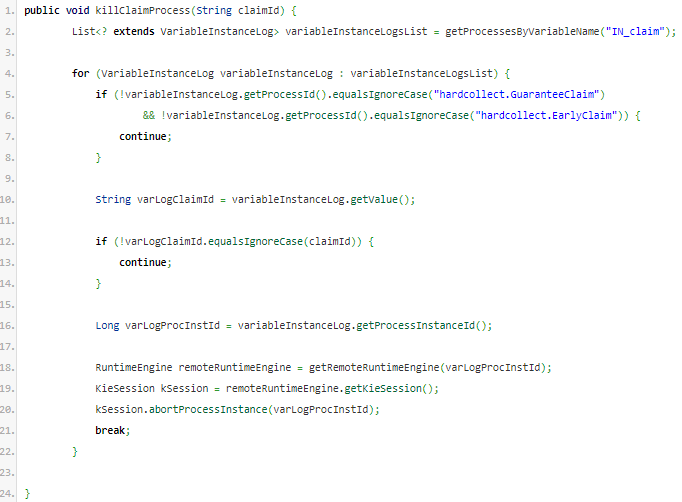 And finally I get RuntimeEngine for this processInstanceId and try to abort the process. The issue is that when I abort it all the other subprocesses are aborted too.